Hello and thanks for visiting my website. My name is Darren Mudd and I run Ilkeston Web Design. If you already live or work here in Ilkeston, you probably don’t need me to tell you about the history and economy of the town, though there might be one or two things I’m going to cover on this page you don’t know. Look out for some of the YouTube videos I’ve embedded further down the page. Is Amazon Killing Jobs and Destroying Communities? As you are perhaps aware (or maybe not if you’re new to the area), Ilkeston is a post-industrial market town situated between Derby, Nottingham and Leicester. Many people who live here travel elsewhere to work although there are still lots of local businesses, big and small, employing some of the population. The Office for National Statistics considers Ilkeston to be part of the Nottingham Urban area, aka Greater Nottingham, and it is often the case that Ilkestonians reply “Nottingham” when asked where they come from. We are technically in Derbyshire but right on the county border, only 9 miles from Nottingham city centre. Indeed, we do have the 0115 telephone area code associated with Nottingham instead of the 01332 area code for Derby. The former glory of “Ilson” lay mainly in coal, iron and textiles. These traditional industries have all disappeared as a result of creeping globalisation and changing market forces. It’s the same story for many similar places across the country. Towns are gradually gutted of employment yet keep cruel reminders of their lively manufacturing past, such as the roundabout at the bottom of Heaner Road in Ilkeston, upon which sits a Stanton Ironworks coal truck, more memorial than celebration. Walls and alleyways feature incoherent graffiti by the local youth, while dozens of weathered Victorian-era factories stand grinning with cracked windows like mouthfuls of broken teeth. There’s little sign of real economic activity, but, as ever, the pubs are normally open! This description of my town is a typical lament common to much of Britain, and familiar to other generations who have seen great changes in commerce and industry. Back in Georgian times, spa towns like Harrogate, Cheltenham and Leamington were gentrified tourist hotspots. As a supposed cure-all, the availability of natural underground mineral water for drinking and bathing was a revenue-generator, hence the building of public baths. A spa was discovered in Ilkeston sometime around the 1830s, and the main high street, previously “Town Street”, had the honour of being renamed “Bath Street”. The water was examined and positively endorsed by doctors as a means to curing ills like gout and rheumatism. This water went on sale locally as well as at Derby, Belper, Bakewell, Ockbrook and Nottingham. Ilkeston was set to become a so-called spa town and therefore a health resort of the time, but failed to do so after the spring water disappeared briefly. The Ilkeston Baths were demolished in 1899. The town’s largest employer of local labour in the area – Stanton Ironworks – ceased production in 2007 after some 160 years of history providing employment locally. Stanton Ironworks was established in 1846, close to the Nutbrook Canal, but following financial struggles was taken over by the Crompton family and renamed “The Stanton Iron Company”, also establishing a new site (“the new works”) alongside the Erewash Canal. The swift expansion led to the production of concrete pipes, cast-iron tunnel segments and involvement in major civil engineering projects such as the London Underground. If you know anyone old enough to remember it, or indeed to have worked there, you’ll know just how important it was to Ilkeston. At its height, Stanton employed around 7,000 people and most former employees say it was gruelling. Robert Lindsay, who worked there before becoming an actor, described Stanton as “hell”, with its deafening noise, lack of space, sense of danger and men not wearing safety helmets, smoking cigarettes with sleeves rolled up. Wartime production included shell casings during the 1914-18 conflict and the same again during World War 2 plus bomb casings, gun barrels, and concrete air-raid shelter components. After the war, Stanton was nationalised, privatised and re-nationalised. During the early 1980s Stanton was privatised for the final time, becoming part of the French Pont-a-Mousson Group and later, Saint Gobain. Stanton continued to operate in Ilkeston but reached its conclusion when the final concrete pipe was cast on May 24th, 2007. The company is commemorated throughout the UK and internationally by the many thousands of manhole covers and concrete street lamp standards bearing the words “Stanton” or “Stanton and Staveley”. The site has been largely cleared and is awaiting redevelopment pending the planning application, which was submitted in November 2012. Details of what is to become of the land regarding the New Stanton suburb can be read here. Below is someone’s YouTube video from 2015 showing the remaining buildings and disused railway lines. Rolf Noskwith, son of Eastern European Jewish parents who had lived and worked in Germany, founded Ilkeston’s best-known clothing manufacturer. Because of the worsening political situation, they sold their textile business and moved to England in 1932. Charnos arrived on Corporation Road in 1936 and became one of the main employers. 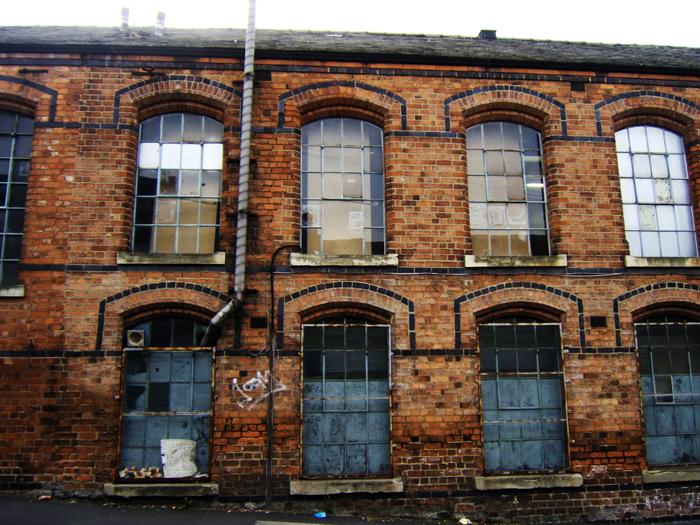 The factory is now long gone, replaced by housing. 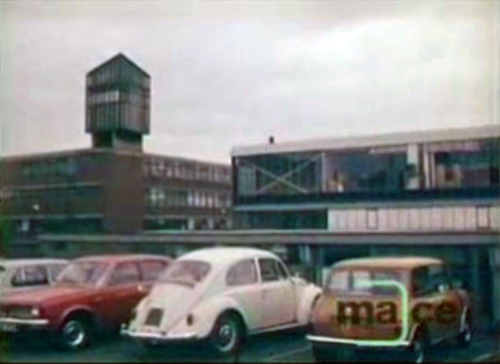 The carpark of Charnos Ilkeston in 1977 as filmed by ATV Today. Watch the Charnos carpark video here. Chris Tarrant, with ATV Today, visited Charnos in June 1978 to talk to director Tony Roberts. Watch the Chris Tarrant video here. Leicestershire-based knitwear firm Richard Roberts bought the Charnos brand in January 2002, despite being axed as a supplier to M&S in 1999. The products sold to Marks and Spencer accounted for 70% of the high street retailer’s knitwear division. In an attempt to reduce supply costs by £450m, Marks began outsourcing overseas where it was cheaper. Alas, the fashion retail market now belongs to the globalised economy, making British-made suppliers of good quality stock disenfranchised. The likes of Mexico and Bangladesh rule, the latter being where my M&S trousers are made! The Charnos brand took to the internet in 2011 as an eCommerce website and supplier for retailers but no longer has anything to do with Ilkeston. The American Adventure opened in Ilkeston June 1987. I would have been three years old at the time and visited many times – to my utter delight. The popular theme park was built on the foundations of the Britannia park, which lasted only a couple of years. The Anglophile subject matter of Britannia was discarded in favour of the American West and was actually really well done. 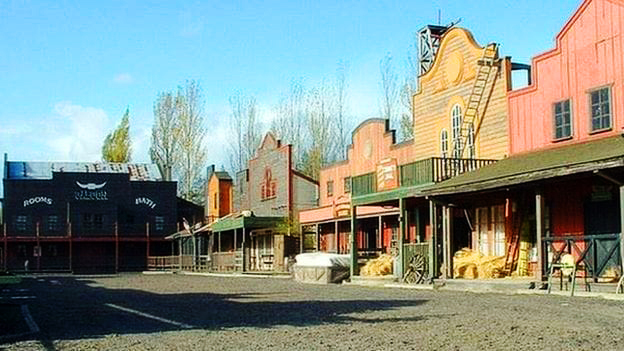 Etched in my mind are memories of the log flume, three roller coasters (Missile, Buffalo, Runaway Train), miniature railway and wild west scripted drama with gunslingers and horses. You don’t really miss something until it’s gone. The ground on which the park was built was plagued with subsidence problems. 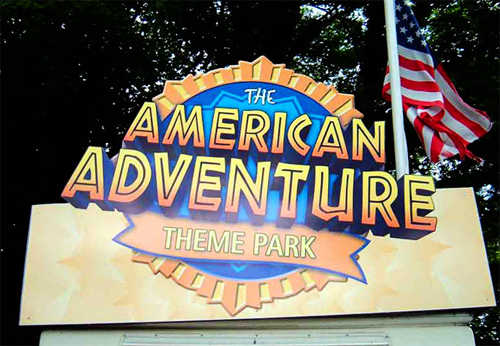 Together with falling visitor numbers and poor financial performance, the Amercian Adventure closed in 2006. It could have been a major UK tourist attraction had it been better managed. It would have been a decent long-term employer and may have expanded. If the park was still open today, we can imagine they would probably have a website and an app from which tickets could be bought. Dog walkers, ramblers and curious locals would often squeeze through a hole in the fence to explore the remains of the park, perhaps retracing their steps from the past or imagining a time when the area would have been packed with visitors. Nature had begun to take its course as the undergrowth reclaimed the abandoned site with wildlife existing alongside the ghostly shells of gutted buildings in scenes that could be described as faintly post-apocalyptic. The rides, by this time, had been sold off to other theme parks both home and abroad, but scattered around the grounds were reminders of more exciting times. The filthy upturned river rapids, piles of old bricks and the redundant colliery behind wrought iron padlocked gates is the perfect illustration of the death of innocence, of a lost childhood or nostalgia for certain golden summers never to be seen again. Planning permission for homes, offices, hotel and leisure facilities was sought and, at the time of writing, the land is being bulldozed. In the aftermath of the aggressive prep for new development, it’s a shame to see so many trees uprooted without mercy, but let’s face it: change is inevitable and houses must be built. Our long-suffering high street seems to be populated by an assortment of charity shops, fast food takeaways and mini-marts taking turns to occupy prime locations before shutting down. Obviously, the long-established family businesses tend to survive. The large Marks and Spencer left Bath Street when I was a very young lad but has since returned under the guise of M&S Food with a clothing department at Riverside retail park. Woolworths closed in 2008 and the building eventually became home to a social enterprise project called The Project. The local Co-op closed down too. The building was gutted and turned into a new retail arcade which is now home to independent local retailers. Let’s hope they stick around. The Death of Buying Local? Youth, energy and prosperity have been ceded to cities like Nottingham and Derby. Still, everywhere is drenched in WiFi thanks to 4G and the cloud, with zombie-like pedestrians hypnotised by their handheld computers, escaping to their constructed digital worlds. It could be argued the last vestiges of local culture and identity are felt only a few times yearly with the various festivals, carnivals, fayres and funfairs. The rising tide of blandness in many countryside suburbs and rural communities seems to have created a negative feedback loop. One way of looking at this is that fewer people are physically on the high street, less likely to spend money locally and therefore deterring businesses from taking on a retail unit or an office. In September 2018, the Office for National Statistics said that online retailing had accounted for almost 18% of the entire retail sector. Said another way, in every £5 spent by retail consumers, nearly £1 of that is online. In 2018, Debenhams announced they would close 50 stores putting 4,000 jobs at risk. National high street brands have not adapted fast enough. Next did actually get into eCommerce earlier than their competitors (and somewhat bucked the trend) but even they are suffering. Ilkeston has had some of the life beaten out of it by the big names we all begrudgingly shop with when we have a moment to spare in our busy lives. A Tesco, Morrisons, Asda, Iceland, M & S food, a small coop and Aldi exist here. That’s no surprise in this day and age. To cite the 4 P’s (Price, Product, Place, Promotion), these retail giants are doing what is only natural to them by conquering new territory and gobbling up customers unable to resist convenience and value. Many of us barely even visit local supermarkets anymore, ordering online instead and receiving our goods from distribution depots miles away. Every part of consumerism from supply, distribution and retailing seems to have become separated and depersonalised. The idea of “from farm to table” is dead for the most part. That is unless you use one of the local butchers like the ones on Bath Street or South Street. Is it fair to say the rise of the internet mega-monopolies like Amazon are responsible for the decline of the high street? It’s part of it, for sure. Amazon is a faceless, clockwork vendor with no sense of human connection, community or loyalty. Access to products not available in this country (with the added bonus of fast delivery and low prices) makes such online global marketplaces attractive if not irresistible. It’s also conditioned the consumer by altering their expectations of what they should get whenever they part with cash with any business. The internet may be negatively redesigning our minds by altering the threshold for patience. What would be a reasonable price for a product in the shop of a family-run business might look expensive when compared to a thing purchased online at dirt-cheap prices. Price Wars: Does Anyone Really Win? Ilkeston used to have a fantastic high street and you could buy most of what you could need or want, but rising from the ashes of the classic high street experience is the bargain basement store that piles high and sells cheap. Low wages for workers and wafer-thin profit margins makes this model barely viable, as we saw, for example, in the national news story surrounding the badly shaken confidence in Poundland. The dazzling global communications network is in full effect yet many basic requirements lower down the hierarchy of needs – income, security, purpose – are unmet. Price wars are the lowest common denominator “solution” implemented out of desperation which, more often than not, prove to be the undoing of a small enterprise. The resurgence of local pride by the acclaimed Ilkeston Life newspaper is a triumph for the community and has been championed by the U Choose Smoothie Bar owner Paul Opiah. It has been enthusiastically received by the community. It has also built the familiarity and reputation of the U Choose Smoothie Bar. It just shows what can be done when the right people come together. It also demonstrates perfectly the principle of picking a niche geographic area and creating something meaningful for that particular audience. The Ilkeston Advertiser, by comparison, reports on the news all over Derbyshire and Nottinghamshire. Instead, can’t we turn over the stones closer to home if it’s a so-called slow news day? The answer to a revitalised local community may not be shops, but a mixture of things including social meeting places with a focus on whatever the nearby residents actually care about. Can we turn physical and digital spaces into something more than they are typically used for? Originally the canals were the means by which goods were transported, but in the 1800s the Erewash railway line was financed for the purposes of carrying coal. It’s hard to believe Ilkeston has had a total of four stations from the mid 19th century to the mid 20th century, three of which were closed during the 1950s and 1960s. The Tory government of 2010 had pledged to connect rural towns with a £90 billion fund and in 2013 Derbyshire County Council put forward a business plan. The new station opened in 2017 after 50 years without one. At a cost of around £10 million, the funding came from Network Rail’s New Station Fund, Derbyshire County Council and the Nottingham Housing Area Market Fund. Managed by East Midlands Trains, the new platforms were built at the site of the second original 1870 Ilkeston Junction station, situated at what is now the intersection between Millership Way and Coronation Road. It is hoped easier travel will increase the job opportunities for the locals while easing congestion on the A609, A6007 and A52 into Nottingham. The nearby Junction Cafe was too relieved when the station finally opened on April 2nd 2017. Their business relied on the station being operational for passing trade. The constant delays were a huge issue for them and generally frustrating for the town. Ilkeston may look like the underdog, but there still exists far-reaching influential possibilities while living and working here. That’s if we look around for inspiration and employ clever strategies. I’d always suggest that a business owner serving particular geographic areas look at their online presence not as an opportunity to push self-serving sales pitches but to pull in an audience by way of useful, interesting and magnetic content. If you do something online with a view to producing outcomes in the physical world, you need an angle people will understand. Your website must become a magazine for your industry aimed at the local population, with potential for attracting those physically further away or on the outskirts of the topic of interest. The fact is, whether you like it or not, you are in the media business if you are putting out marketing communications and solicitations. The local branch of Ron Brooks dealing in Toyota sales and repairs has been active since 1962. What is now the Applegreen Nutbrook Service Station was formerly a Shell petrol station, who leased the site to Ron. His wife, Elsie Tyler, had worked for her father’s petrol station business before they sold it to Shell. Ron had worked for Tyler & Sons Ltd as a forecourt manager. Ron passed away in 1998 and Elsie remains a director. Well established local businesses like Jackson’s Chippy have been going 60 years. Owner Dennis Jackson is 80 and a keen cyclist. Established Jackson’s in 1961 and moved a few doors down to the current location after the council built a new road. Proprietor Paul Opiah has done a fantastic job with his coffee shop and smoothie bar, offering a true community experience. The location is host to many local groups, organisations and gatherings for both personal and professional endeavours. Music, art, history and networking all take place here. Robert Lindsay even dropped by one time! Ilkeston Life newspaper has gone down very well among much of the community. The content of the paper is generated by local residents and the opinion of many has easily usurped the Advertiser for relevance. In a way, it’s social media without computers, since letters, articles and photos flood in from keen contributors. Ilkeston Life DO have a Facebook page though so it’s not completely ignoring modern trends. Sareena Long and her struggle to stay afloat when she bet everything on the reincarnation of an eagerly anticipated local lifeline promised for 2014. I am of course referring to the train station and its immediate location to Sareena’s cafe. Sareena’s husband Andy supported her through thick and thin. This micropub and Real Ale ‘Ouse (to use the local dialect) is on Market Street, occupying what used to be an antiques shop. Landlord Simon Clarke has done a fantastic job with the atmosphere and character of the place. To say it’s gone down a storm would be an understatement. This deli and snack outlet is also run by Burnt Pig landlord Simon Clarke. I used to buy my lunch from this South Street sandwich shop when I studied at Ilkeston Sixth Form between 2000 and 2002. They have a great reputation for quality and are obviously going nowhere! I remember a competitor opened across the street but ended up moving elsewhere. Independent furniture retailer Est 1890 and run by David Thorpe. 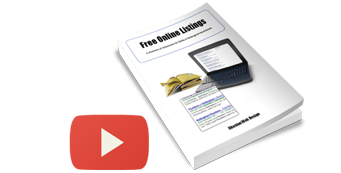 There are three locations in close proximity selling beds, chairs, sofas and cabinets. It’s a staple of the town and I couldn’t imagine it not being there. One of the locations was damaged by fire and is being seen to. Established 2000. I don’t have tattoos but this place would be top of mind if ever I decide to get one! A family business established 1974 and still going strong. As a boy, me and my playground chums would go to this place to get our bike spares. John Buck’s family-run doors and windows brand is well known and trusted, as evidenced by all the positive reviews on Derbyshire Trusted Trader. John is a true gent. Being friendly, conscientious and carrying a great reputation is what makes any business so much easier to market. Sandra and daughter Jessica have done a lovely job with their shabby chic antiquities plus a rather nice tea parlour. The current location is much bigger than their previous shop which they moved from in 2016. Britain is involved in an industrial revolution of which it is not the principal architect, and in some cases not quite ready for. While big cities are becoming “smart cities” digitally glued together by the so-called Internet of Things, the most rural parts of the country do not even have decent broadband. The internet offers the possibility, though not the guarantee, of connecting remote regions of the country to the national and global economy, much as Roosevelt’s American rural electrification offered a sense of joined-up thinking for the USA in the 1930s. As we have seen, however, the internet has its good and bad points. Being online really is essential, but so too is being offline, which is where the most meaningful interactions take place.